Larzep was established in Northern Spain in 1940 and Larzep Australia was opened in 2005 to service Australia and New Zealand. Larzep currently has offices in Melbourne and Perth. Larzep specialises in high pressure (10,000 psi) hydraulic equipment including hydraulic cylinders, pumps, automotive equipment, heavy vehicle jacks and 4:1 safety factor thermoplastic hydraulic hose assemblies. Our huge range of products service various industries such as mining, construction, Oil and Gas and the automotive industry. The Mammut range of heavy vehicle jacks has been developed to operate in the harsh and unique conditions that exist in Australian mining. Proudly 100% manufactured in Italy, The Mammut range of jacks has proven themselves to excel in difficult environments. The jacks are reliable, quiet and fast, they have the added benefit of being able to become jack stands with the use of mechanical load blocks (optional accessory). 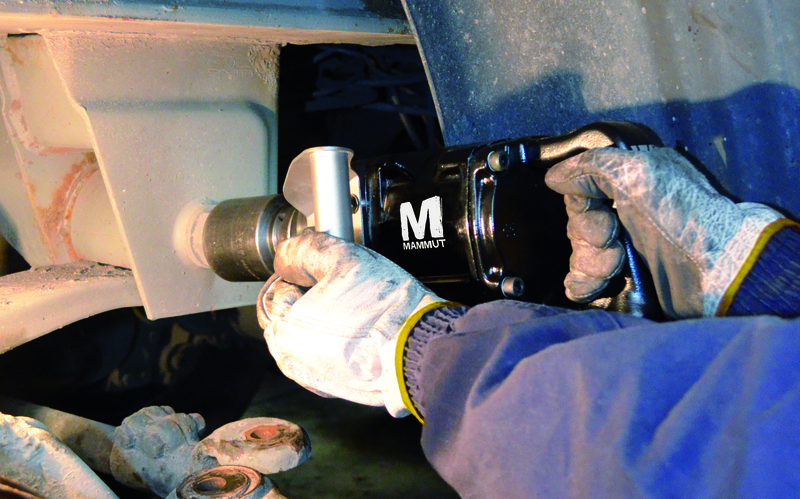 Mammut heavy vehicle jacks are manufactured under the requirements of ISO 9001 quality management. Our quality starts with the choice of materials and it follows through to the machining and assembly phases till the presentation of the final product. Each individual jack is tested for over 100 minutes and engraved with a unique serial number for traceability before passing quality control. The manufacture of Mammut vehicle jacks is ISO 9001 Quality Management System certified. All our products are conform to the Machine Directive 93/44EEC, EN1494, 98/37/EEC, 2006/42/EEC and GOST. Larzep Australia carries large stocks of Mammut heavy vehicle jacks and accessories at our warehouses in Melbourne and Perth. Larzep is proud to have distributors and service centres around the country, please contact us to find your closest representative.